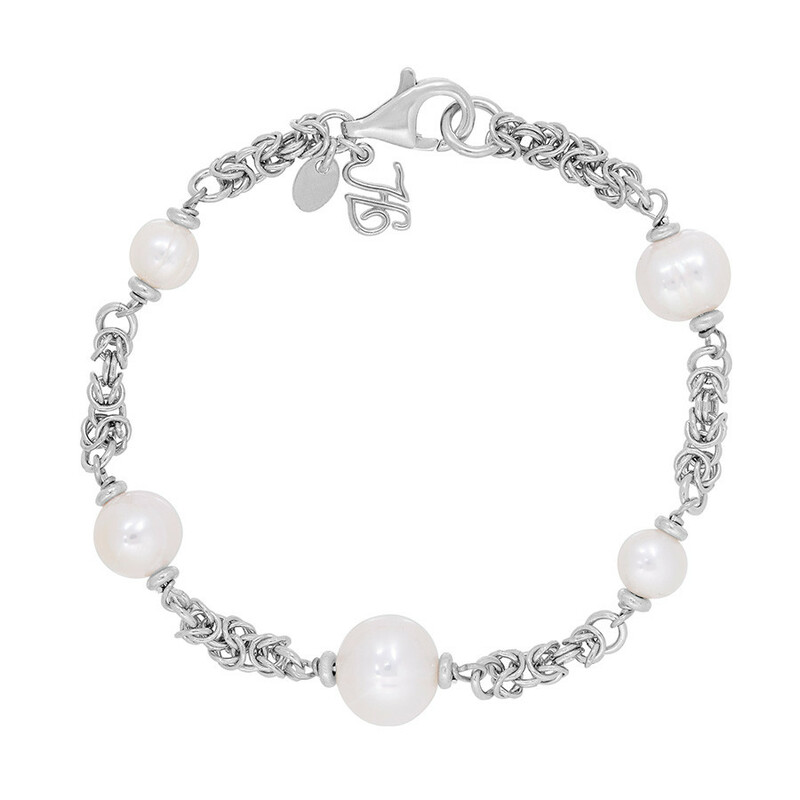 This supple, flexible bracelet is part of Honora's Byzantine collection. Crafted in sterling silver, assorted size white freshwater cultured pearls, between 6-10mm, are stationed along a thick woven chain. A lobster clasp secures the piece to your wrist, and a precious metal cursive H charm brands the piece as a creation of the well-known designer. You'll be able to eat up a lot of compliments received when wearing this awesome arm candy!